Am I the only one on this planet that has not turned into a cowardly fool? Supreme Guardian Hashzh aimed his large, dark eyes at the video screen. All six of his tentacles trembled. He opened his v-shaped mouth and unleashed a half-shriek, half-gargle of anger. When the piercing sound stopped echoing off the curved walls of his chamber, Hashzh spread his tentacles along the floor and read the message from the Guiding Council. Our most recent calculations show that the Shoh’hau race has more than adequate defenses to deal with any potential attack by the natives of Brohv. As we have stated previously, the Council has determined it is highly unlikely a primitive race like the Brohv’ii can replicate our technology to the point they are able to threaten our world. Thus, your request for more weaponry for the Guard Force is denied. Hashzh’s anger burned hotter as he continued reading. Furthermore, Supreme Guardian Hashzh, your constant requests for more material for the Guard Force has not only grown tiresome, but wastes the time of the Guiding Council. We have stated numerous times that priority for resource allocation must go to the Final Project. Diverting those resources for armaments that will in all likelihood never be used means delaying the completion of the Final Project. You are to cease your requests for additional weaponry. Non-compliance with this directive will result in your removal as Supreme Guardian. Hashzh wanted to cover all nine members of the Guiding Council in bodily waste. Did they truly believe the Brohv’ii not to be a threat? Had they forgotten what happened during the Cleansing Mission 13 cycles ago? All the Brohv’ii needed was for one ship to land on Shoh, and just one of their race to set foot on this planet and spread their diseases. That fear dominated his mind. He thought of the Shoh’hau in the Cleansing Force. How much pain did they endure as those alien microbes ravaged their bodies? How scared had they been, knowing they had no means to combat the sickness? Would the same happen to him? To everyone on Shoh? It will if fear continues to rule the Guiding Council. They wanted nothing more to do with the Brohv’ii. Hashzh sometimes believed the planet’s leaders thought simply mentioning the word “Brohv’ii” would cause their diseases to spread throughout the world. He thumped the tips of his tentacles on the floor, his frustration mounting. The probes he sent to the nearby blue and white planet of Brohv, or Earth as the natives called it, showed they had made huge technological strides in a short period of time. Their various nations had constructed large spaceships and equipped them with beam weapons and missiles. Satellites circled their planet. They even had artificial habitats on their solitary moon. None of which would have been possible without the craft and machines left behind by the doomed Cleansing Force. The Guiding Council, however, refused to admit the Brohv’ii posed any threat. After such a horrific failure, they decided the best way to deal with the Brohv’ii was to ignore them. If the climate change doesn’t cause our extinction, the humans just might. Hashzh extended a tentacle to a panel and tapped the upper right corner. The reprimand from the Guiding Council vanished, much to his delight. Replacing it was the results from the planetary defense drills that took place during the early rotation period. What he read did nothing to improve his mood. Accuracy for more than half the tripod groups was atrocious. Many of the land guardian groups took longer than acceptable to reach their defensive positions. When he saw how the planetary defense batteries on the far moon performed, it made Hashzh shriek and gargle again. Had the Guiding Council infected his Guard Force with their denial of reality? That will change. He would make the Guard Force take their duties seriously. They would conduct drills from early rotation until final rotation. Perhaps he should banish some guardians to the bitter cold of the northern region. That would motivate the rest. A short wail came from the circular door. The door slid open, revealing a younger Shoh’hau with light brown skin and slim tentacles. “Tell me of the progress being made,” said Hashzh. Givrht gave his report. A burbling sound came from Hashzh’s throat. At last, news I can take joy in. He thought back two-and-a-half cycles ago to when he undertook this project. There were so many times when he wondered if he could actually make this happen. Now they were exactly 60 rotations away from completion. Sixty rotations until he could end the Brohv’ii threat for all time. Hashzh felt his bitterness turn to hope. The Guiding Council has their Final Project, and so have I. 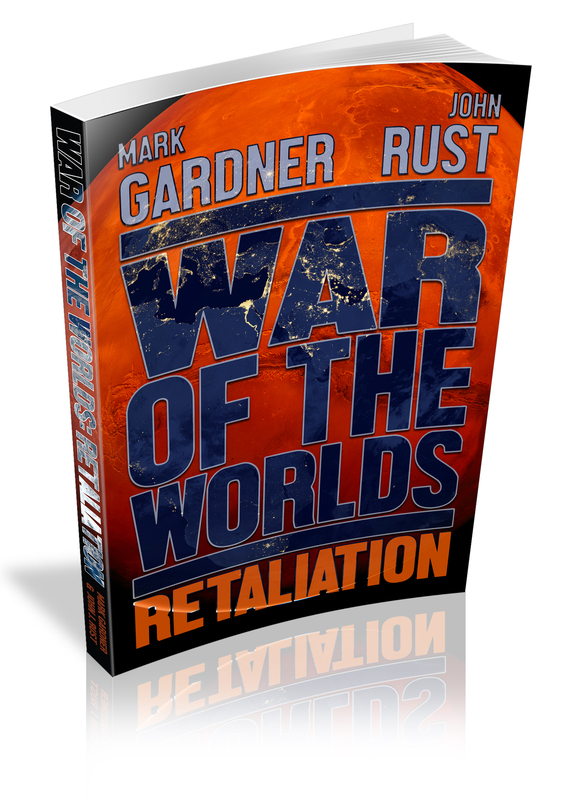 This entry was posted on Wednesday, September 2nd, 2015 at 07:23	and tagged with War of the Worlds: Retaliation and posted in Book Stuff, fiction. You can follow any responses to this entry through the RSS 2.0 feed. No, I didn’t see that one. Will go have a read tomorrow of what I have missed. I have been crazy busy with book illustrations for the Cathood series.